Are you looking for a used Toyota forklift? If so, you’ve come to the right place. The Toyota name is synonymous with quality, and the ReconditionedForklift.com name is synonymous with service. As one of the internet's fastest growing sources for used forklifts for sale, we are proud to have a large selection of Toyota lift trucks in our inventory. Kaizen begins at the design stage. Every new model or line offers improvements on the last. Kaizen is evident in Toyota’s lean manufacturing strategy. Back when Toyota opened its first factory in the United States, the company strove to keep quality standards high and costs down by manufacturing on demand. Kaizen extends even to used Toyota forklifts. A used Toyota forklift must first pass a rigorous 103 point checklist before it can carry the “Toyota Certified Used Forklift” label. Reconditioned Forklifts is a division of Bahrns Materials Handling and Equipment Company. Founded in 1966 in Effingham, Illinois, like Toyota, the Bahrns business model has always been one of continuous improvement. Part of this ongoing process of improvement has been the continuous expansion of Bahrns’ range of products. For decades, the central Illinois business community has turned to Bahrns for all their industrial supplies and equipment because they have come to trust Bahrns for all their needs. By the time the internet age arrived and Bahrns began offering their services online, their product range was so large, it could not fit on just one website. By creating a site dedicated only to previously owned forklifts, they were able to make it easier for their customers to browse their inventory and find what they are looking for. In fact, finding used Toyota forklifts on ReconditionedForklifts.com is a better and easier way to find what you need than visiting a showroom in person. 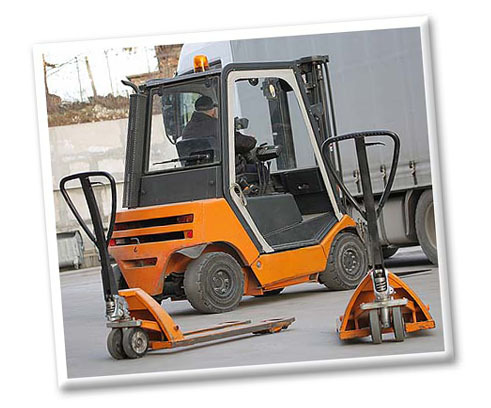 “As is” forklifts have been inspected by the Bahrns team of technicians, but not serviced. The advantage to the consumer is that you will know exactly what condition your used lift truck is in, but will pay less for it. An “operational guarantee” is your guarantee that the forklift you buy is in operational condition. “Reconditioned forklifts” are Toyota Certified Reconditioned forklifts. If you are looking for a used Toyota forklift and want to know you are getting a quality piece of equipment, this is what you’re looking for. Only dealers like Bahrns Equipment are authorized by Toyota to sell Toyota Certified Reconditioned forklifts. For more information about these classifications, check out our About Reconditioned Forklift Types page. We cover everything you need to know about the Toyota certification system in our article, About Toyota Certified Reconditioned Forklifts. Now that you know you have come to the right place to find a certified reconditioned used Toyota forklift, why not have a look at our inventory first. Then, Contact Us in person if you have any questions or comments? Like Toyota, we always strive for “continuous improvement,” so your feedback about our site or service is always appreciated.